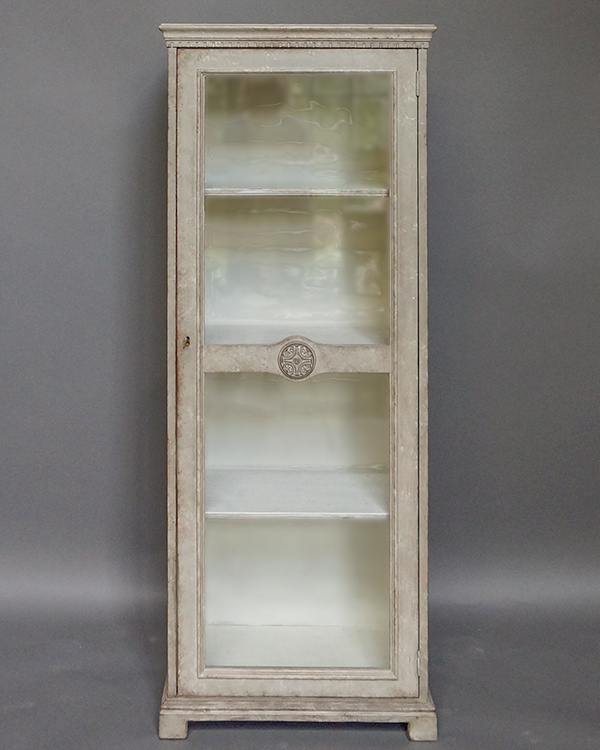 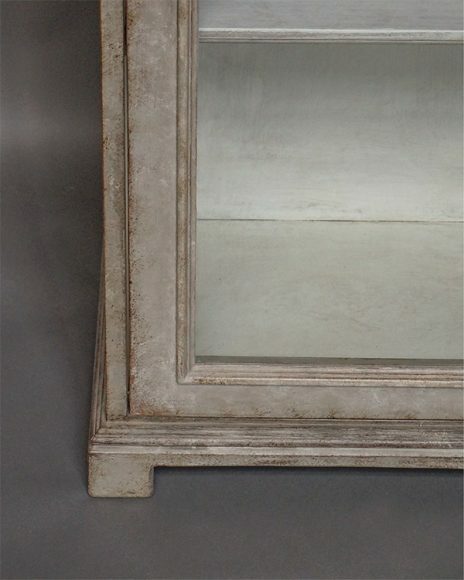 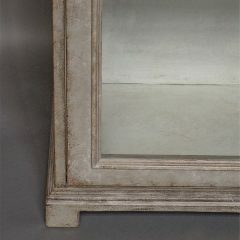 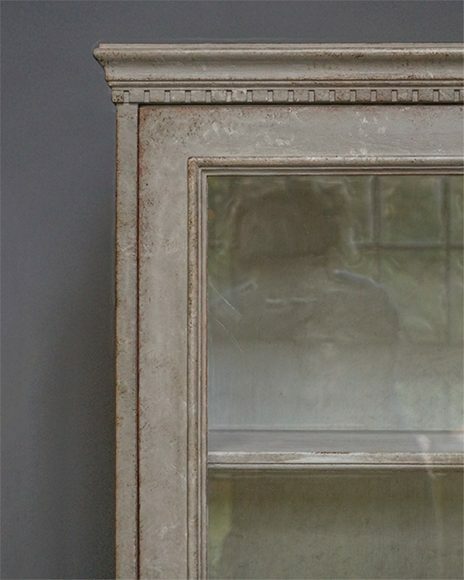 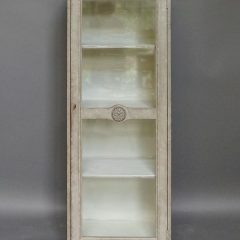 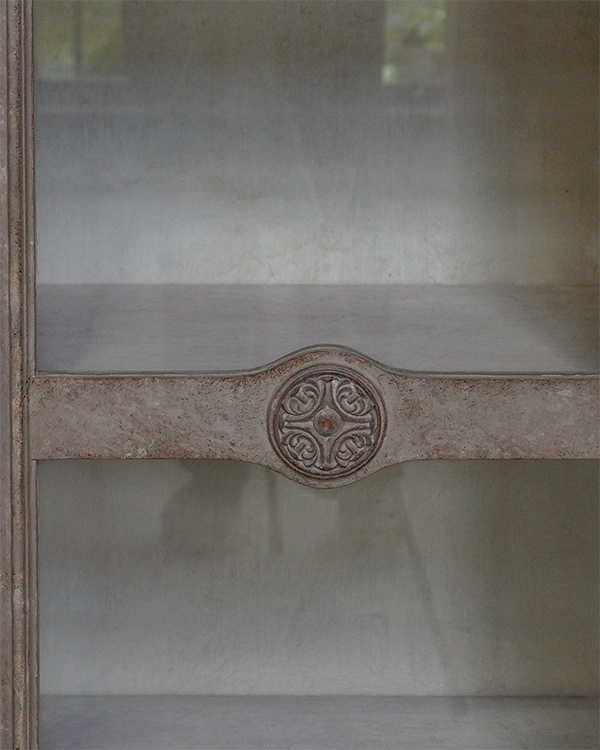 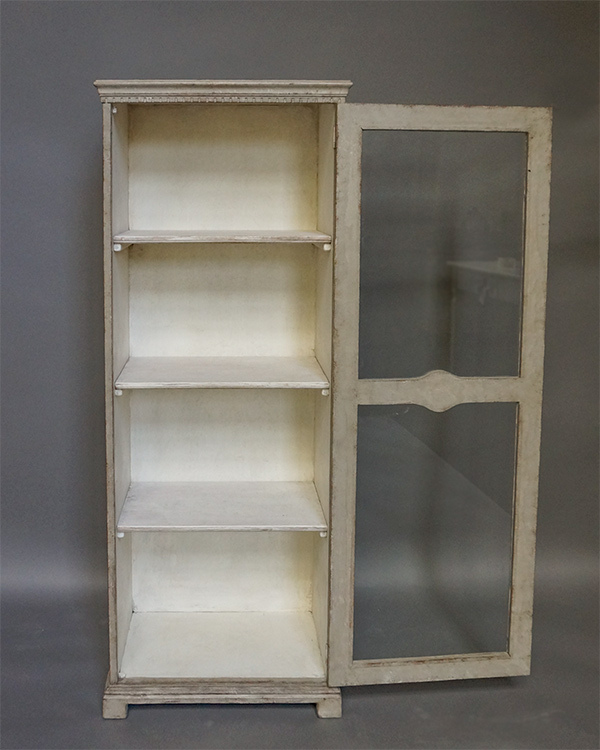 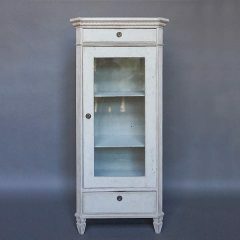 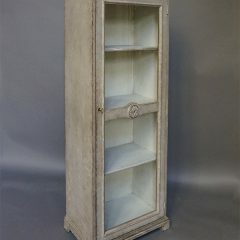 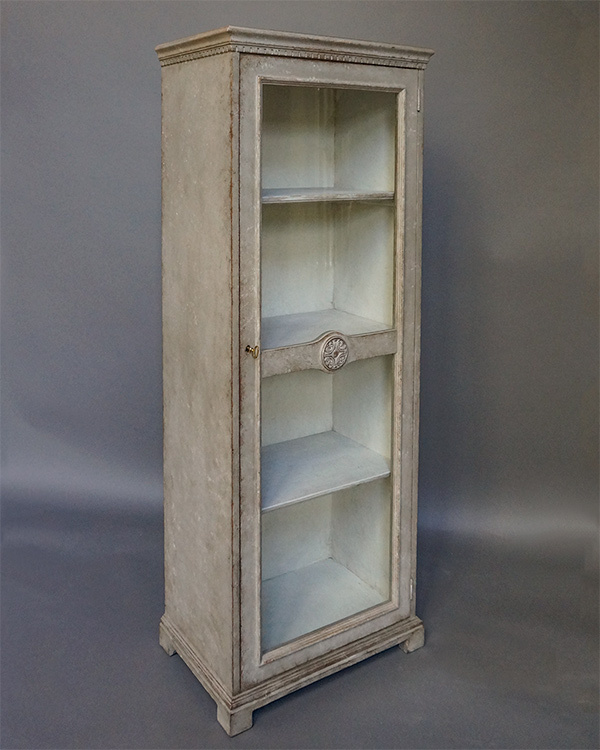 Swedish vitrine in the Gustavian style, circa 1910. 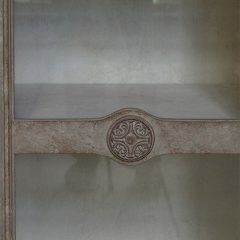 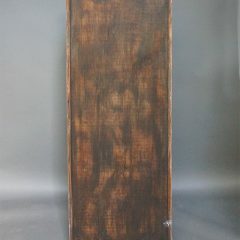 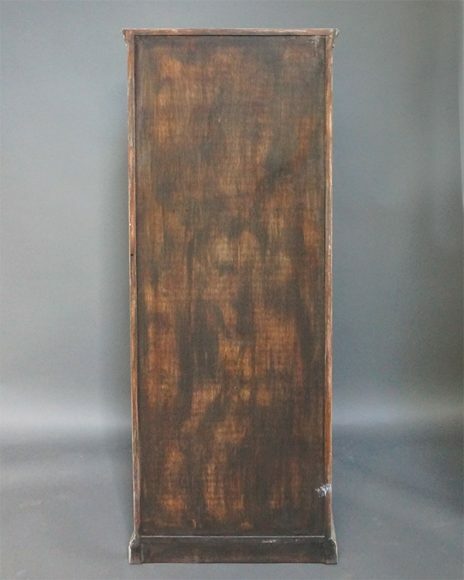 The single door has two glass panels separated by a horizontal member with a beautifully carved roundel. 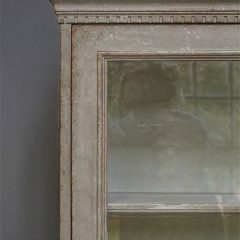 Shaped cornice with dentil molding and simple bracket base. 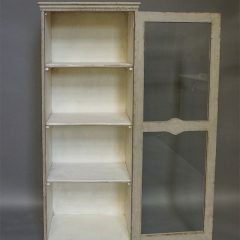 Three internal shelves.